Correct. And even someone with this spooky ability gets hit by timewasters and importunate sales callers. Even the most super-psychic person in the world could not operate at their highest frequency all the time. Andrew’s telephone rang one day. ‘I’ll make an appointment,’ the man said. ‘If you can tell me my name.’ Andrew might actually have been able to do so. But there was only one response such ignorance and crassness deserved. How would a reading with such a discourteous client have gone? So now, with this lady running late, having requested a time that I had accommodated out of goodwill, I asked my cards, was the client en-route? I drew The Chariot. This card of travel vehicles, speed, progress, ambition and teamwork was an indication that yes, she was on her way over. How soon would she be arriving? I drew the 4 of Cups. This seemed to indicate that she would be arriving in approximately 4 minutes, and that there was probably no particular crisis to be discussed in the reading, but she was in a rut and looking for ways to move ahead. The lady arrived, apologising, just as I was re-shuffling the cards. It might have been 4 minutes later, more like 2-3. And she was a delight to read for. The Sun Card. Happiness and Sunflowers. The Sun card in Tarot foresees sunny weather at its most literal. It’s respite from care, the gift of the moment, childhood and sometimes the imminence of birth. It’s also travel, particularly to hot places. It is glory. Reversed it’s the setting sun, delays and lesser joys, the passing away of childhood, gentle nostagia, beautiful twilights. It may mean getting something less than you hoped for, but what you get will still something to be happy for. The Star card meanwhile, presages recovery from sickness and despair, a guiding light, a new inspiration is ready to come to you. 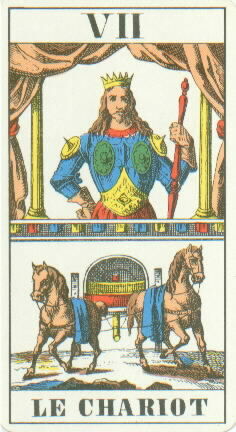 I have seen it in readings when people are emerging from a dark place…sometimes quite severe clinical depression, They may be anxious about slipping back, but time has taught me, seeing this beautiful card, to feel they will not go back there, at least, not to anything like such a severe extent. Klytie was a figure in Ancient Greek mythology who fell in love with the sun god, Apollo. Each day she would watch him cross the sky in his chariot of fire. He could not come closer to her without destroying her, but when she died, he changed her into a sunflower so she could watch him forever, and understand that his love was constant and that he would never desert her absolutely. Built strong with sugar from the sun. Still resurrects a phoenix in the night. Comments and questions welcome. Comment tag below. Author Katie-EllenPosted on May 7, 2010 June 4, 2013 Categories help and guidance, tarot, tarot lessons, tarot readings, tarot tips, UncategorizedTags happiness, Hesperus, hope, tarot, tarot tips, The Star card, The Sun card2 Comments on The Sun Card. Happiness and Sunflowers.